This fluted shot glass holds 2 oz. and is perfect for promoting restaurants, festivals, and breweries. Makes an excellent keepsake for any event. 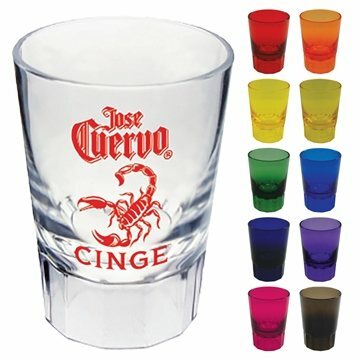 Personalize this glass with your company name and logo to solidify the presence of your brand. Thank you for the service. I will come back next time I need something. Speed from order taking to delivery, what we like most. these work well for scale events. They are cost-effective, the printing looks nice, and we've even gotten compliments on them. For the price, it was a very good deal. This is exactly what I wanted.